and on coastal Holland, Germany and into the Baltic. May while more northerly breeders leave up to early October and return up to end June. 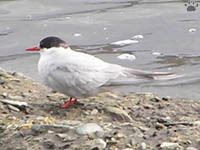 the wings look set further forward than on Common Tern. The bill is dark red with no black tip. 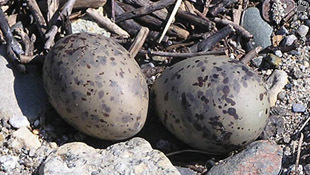 The nest is a shallow hollow on the ground and it is defended vigorously as any visitor to the Farne Islands will know . where the days are longest during November to February. 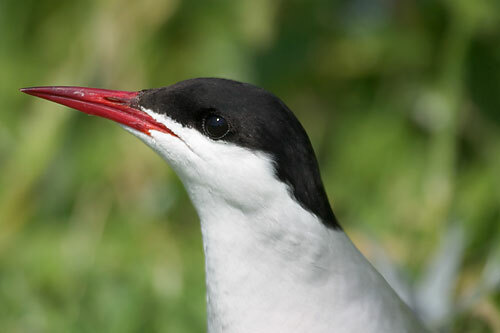 This means that the Arctic tern probably experiences more sun light during a calendar year than any other creature on Earth. 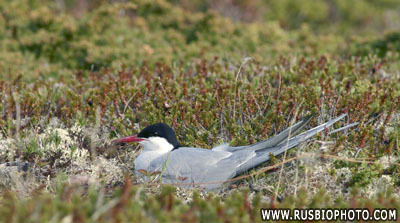 The long-distance travel of the Arctic tern is well-known both amongst researchers and in the broader public. practically from pole to pole. 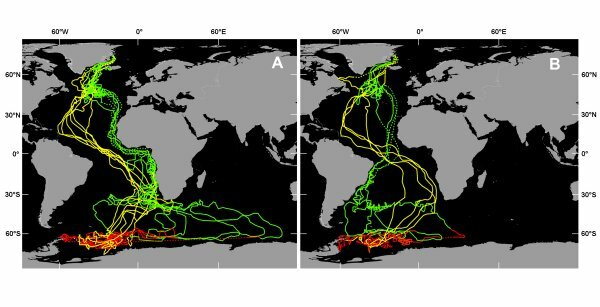 This study used miniature archival light loggers (geo-locators) to map the migration route of the Arctic tern. 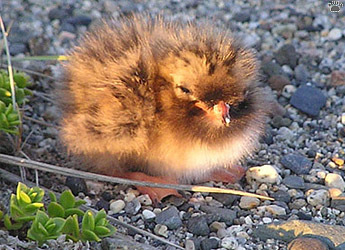 studies were limited to large-sized seabirds, such as albatrosses and shearwaters. 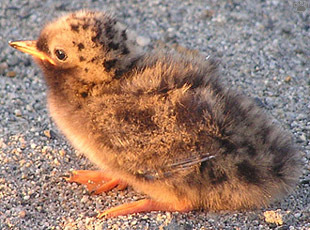 to be reduced in size and weight, opening up a whole new array of small to medium-sized birds to such study. Greenland Institute of Natural Resources. and Iceland (n = 1 bird). Yellow = spring (return) migration (AprilMay). or (B) Brazilian coast. Dotted lines link locations during the equinoxes. 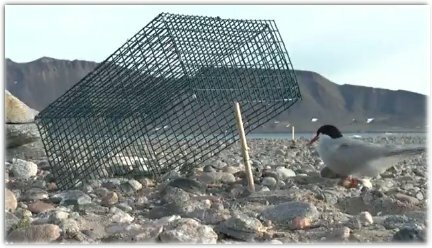 Greenland to the Weddell Sea, on the shores of Antarctica, and back to the breeding grounds in Greenland. 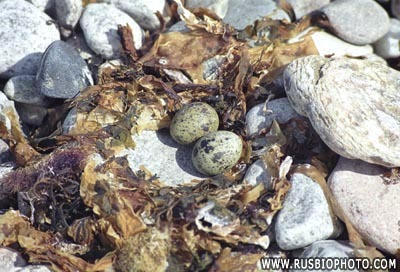 to be trapped on the nest. after a full circle of migration. the Atlantic Ocean to follow a parallel route south down the east coast of South America. thousand kilometres over a straight line north to their breeding colonies. 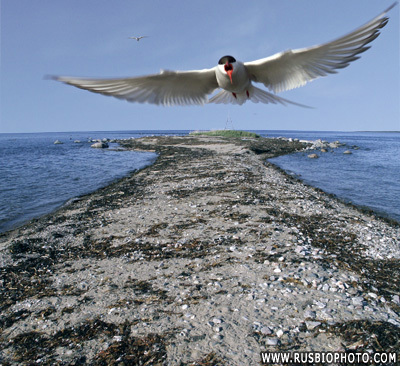 "The Arctic Tern - Migration Project"
In Kamchatka you have to, in some places, to watch your step to avoid stepping on a nest or chick. 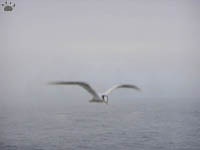 In winter almost all birds leave. 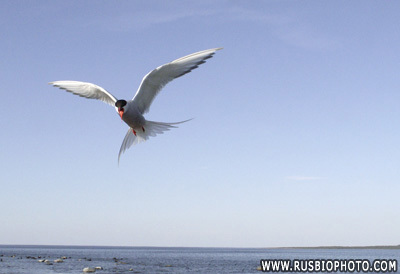 Arctic tern fly all the way to Antarctica. Many others winter in SE Asia. But, of course, they have to grow up fast before they leave. 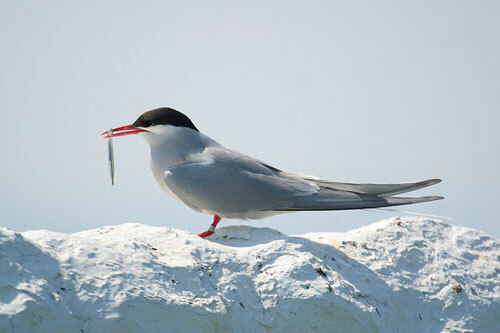 Unlike gulls, terns feed almost exclusively on fish and krill. 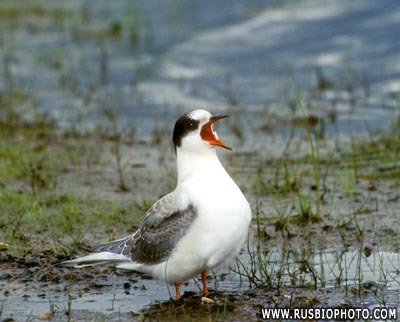 South American tern breeds on Tierra del Fuego and the Falklands; Antarctic tern - on islands further south. 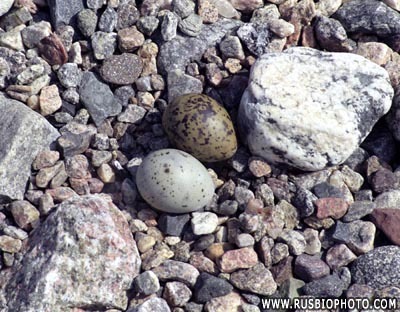 They fiercely protect their nest, attacking trespassing people. 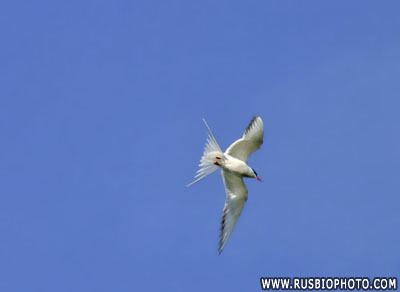 Very similar Arctic tern, Sterna paradisaea, comes from the Northern hemisphere during Austral summer. It has the longest migration route of any bird.